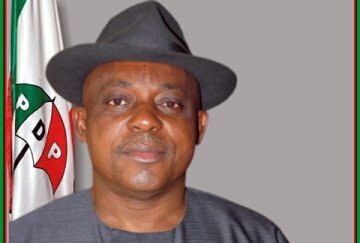 The Peoples Democratic Party (PDP) South-East caucus says it has endorsed Uche Secondus as its preferred national chairmanship candidate for the Saturday national elective convention. The National Vice-Chairman (South-East) of the party, Austine Umahi, disclosed this at a media conference after the caucus meeting on Friday in Abuja. “We, the stakeholders of PDP South-East geo-political zone, have examined all the people vying for the national chairmanship position of our party, PDP. “We wish to commend, highly, all the aspirants especially on how they have conducted themselves during their campaigns fully aware that this is an internal party affair. “We are very conscious of the personality of who becomes the national chairman of our great party for the next four years. “Based on the fore going, we have unanimously in our today’s stakeholders’ meeting, decided that we will back an aspirant that has character and content. “In this circumstance, and without prejudice to the right of other aspirants to this national chairmanship position, credible and transparent election, we have decided to back and vote for Prince Uche Secondus,’’ he said. He said the caucus was solidly behind Mr. Secondus for the position of national chairman of the party. Mr. Umahi added that the stakeholders also endorsed some other candidates in the positions zoned to the South-East. 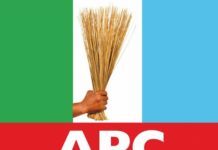 The candidates, he said were: Austin Akobundu, Udeh Okoye and Alphonsus Gerard for the positions of National Organising Secretary, National Youth Leader and Deputy Financial Secretary. 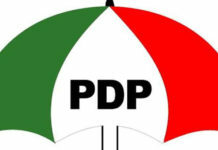 The News Agency of Nigeria (NAN) reports that the meeting was attended by South-East PDP leaders, including the Deputy Senate President, Ike Ekweremadu, Ebonyi Governor, Dave Umahi and former Ebonyi governor, Sam Egwu. Former Senate President Adolphus Wabara and ex-Abia governor, Theodore Orji, former PDP national chairman, Vincent Ogbulafor, a one-time Deputy Speaker, House of Representatives, Emeka Ihedioha, were also in attendance. The PDP governorship candidate in the Nov. 18 Anambra governorship election, Oseloka Obaze, among others also attended the occasion.